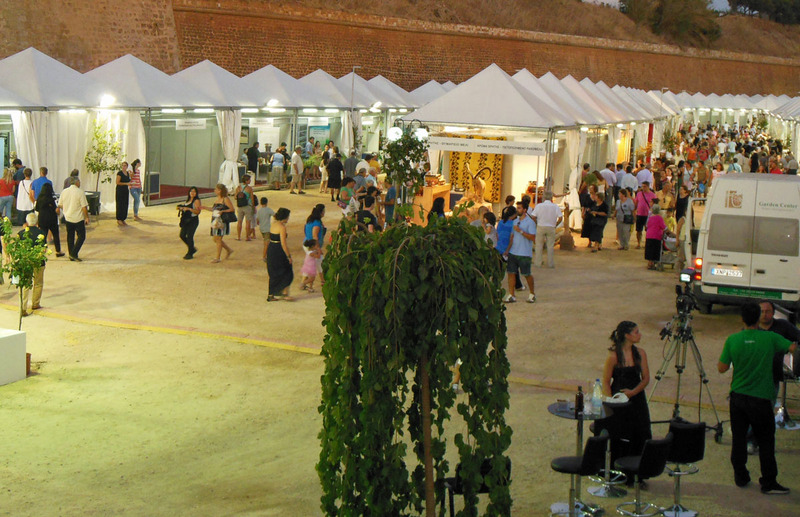 Right near our street, outside the medieval wall, there is an agricultural fair (photo above) smack in the middle of the dried-up ancient castle moat. I strolled around the other night to take pictures of souvlaki, linens, handicrafts, shoes, honey, raki, and spinach pies. Slimy things on beds of ice. 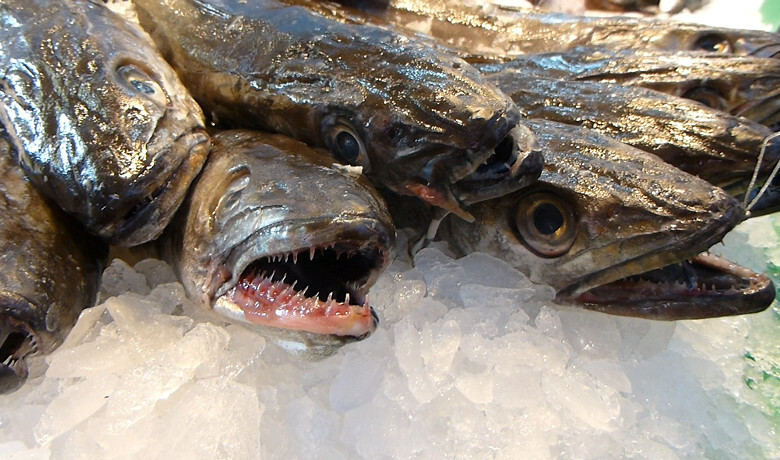 This is sort of the general tenor of the fish stalls at our Mercat, which is Catalan for market. The Mercat, of course, is full of raw, natural, farm-fresh unprocessed food. I’ll try any fruit or vegetable, but when it comes to proteins, I will admit that I prefer boneless, finless, scale-free meats and fish which I can recognize, and which is not still looking at me. I am not proud of this, but that’s how it is.